A senator who claimed he had no understanding of the implications of the term the ‘final solution’ appeared at a far-right protest alongside activists who performed Nazi salutes. 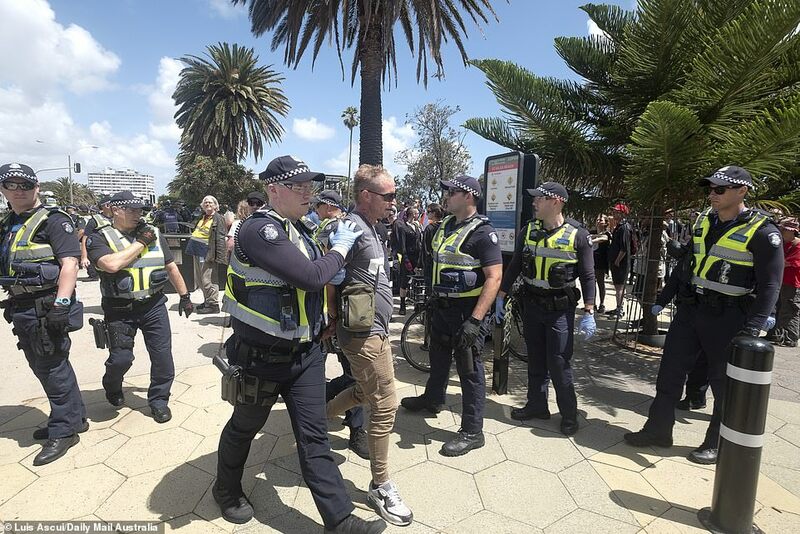 Independent Queensland senator Fraser Anning said he hoped Saturday’s riots on St Kilda beach said would lead to a ‘revolution’. He reiterated that if he were elected as prime minister, he would refuse entry to any immigrants of African descent as well as Muslims, but is not against allowing Chinese and Indians in, as long as they don’t outnumber Europeans. ‘I think this is the start of something bigger, I think the revolution will eventually start and these people have got to be sent back to where they came from,’ he said. 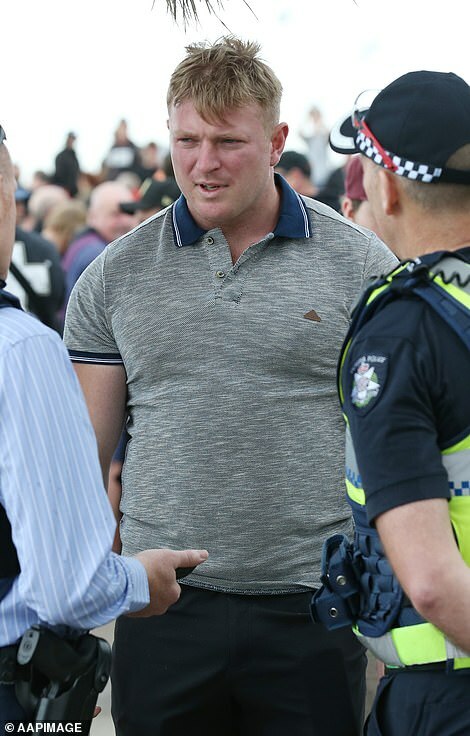 United Patriots Front founder Blair Cottrell was seen alongside Anning on numerous occasions, including when the rural QLD senator was preparing to address media. He said that he attended the rally to represent the Queenslanders who wished they could have attended. 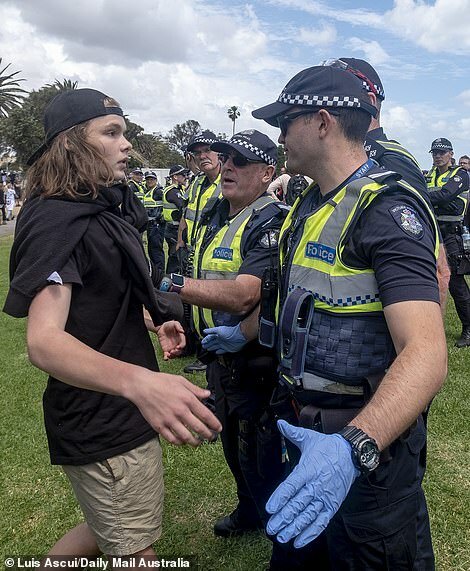 ‘These are Australian people showing their disgust with the Australian government for allowing garbage like these Sudanese thugs to come into our country and belting our innocent women and children,’ he said. That sentiment echoes Cottrell’s announcement after the riots – which he deemed a ‘great success’ despite the violence. Cottrell threatened to rally again ‘outside Premier Daniel Andrews office’ if he does not agree to address what he describes as a ‘violent crime epidemic’. 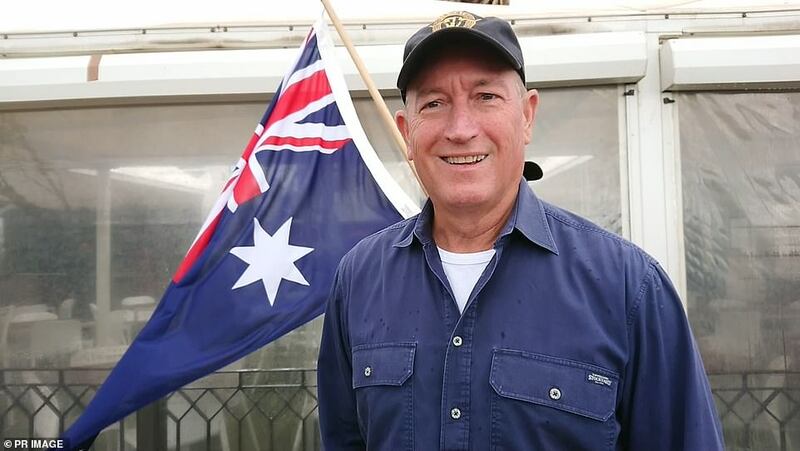 Anning was previously dismissed from his post with Katter’s Australian Party after referring to ‘the final solution’ during his maiden parliamentary speech. At the time, he claimed he was unaware of the term’s long and troubling connection to the rise of Nazi Germany. 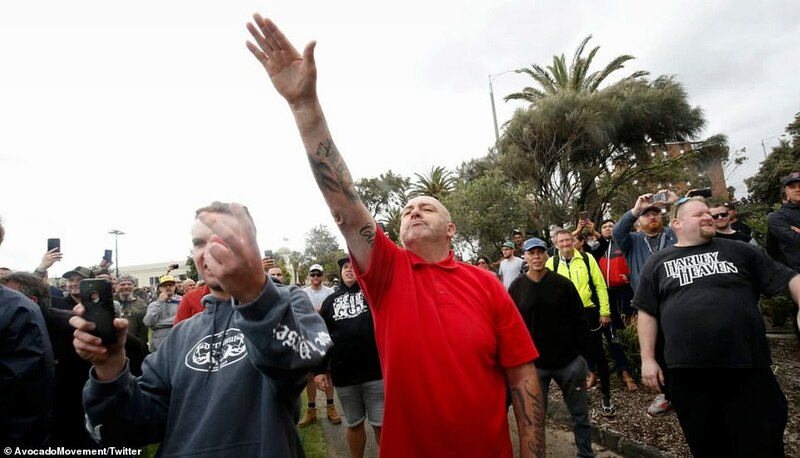 Saturday’s rally was organised by a number of people who themselves are referred to as neo-Nazi’s, and multiple rally-goers were even seen giving the ‘Nazi salute’ at numerous times throughout the day. 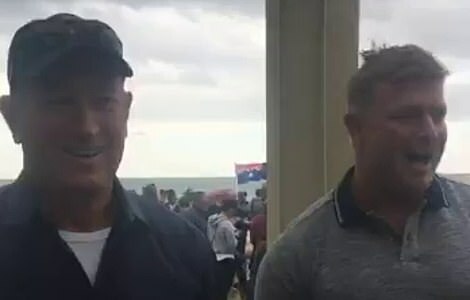 Anning’s appearance at the event comes just days after United Patriots Front leader – and convicted criminal – Blair Cottrell vowed to join in on the protesting. State police minister Lisa Neville told reporters on Friday any fighting would be met with heavy resistance. 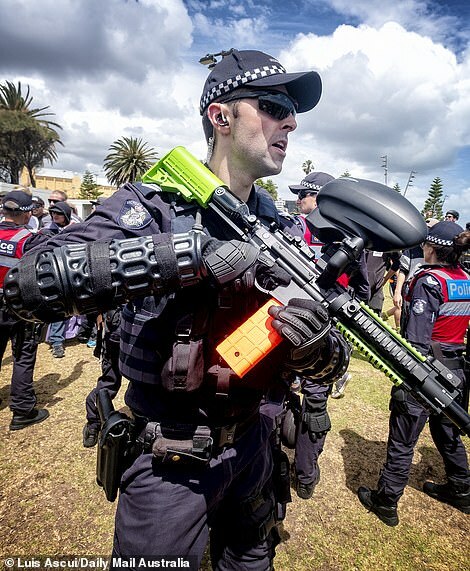 ‘Let me be clear – there will be hundreds of police there, there will be specialist police, there will be the dog squad, the mounted squad, the transit teams, the public order response teams, they will be conducting weapons searches,’ she said. 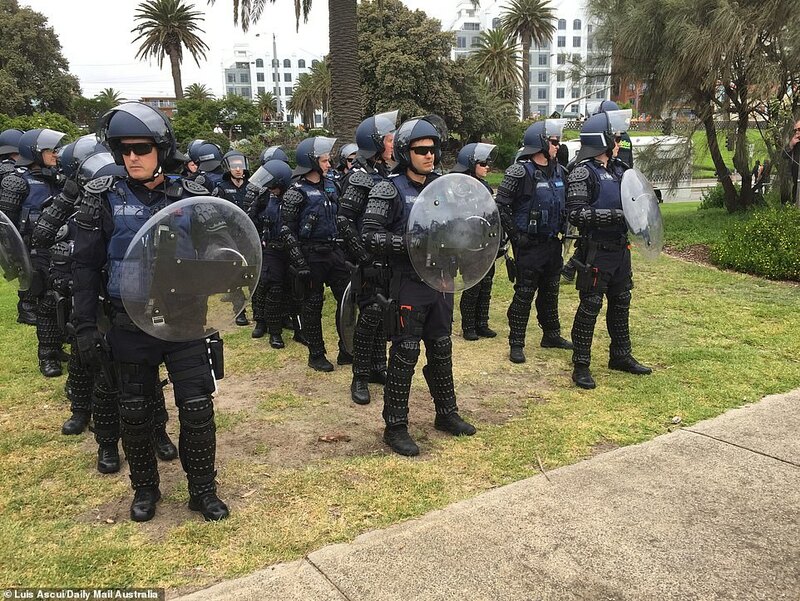 A spokesperson from Victoria Police told Daily Mail Australia they respect the public’s right to protest peacefully. ‘Police will continue to provide a strong presence at the rally to ensure the safety of the community. 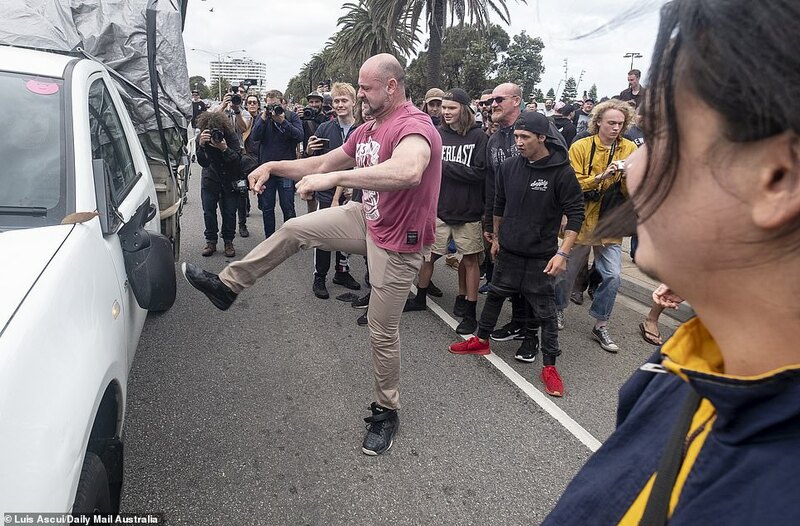 The protest, which was advertised as a ‘non-violent political meeting’ to ‘make Australia safe again’ from African gangs, did in fact turn violent, with three right-wing protesters arrested throughout the day. One teenager was found to be carrying a weapon, while two others were arrested for their behaviour during the rioting. He, alongside the event organiser Neil Erikson demanded to know why African gang crime rates are ‘through the roof’ while claiming that nothing is being done about it. Campaign Against Racism and Fascism spokeswoman Tess Dimos digressed, saying despite claims there is an ‘African gang crisis’, African youths are systematically targeted. That sentiment echoes one that was previously addressed by prominent lawyer and community advocate Nyadol Nyuon, who took to social media to share her concerns ahead of the scheduled event. In the meantime, we get to call and inform family members and our community to stay away from the beaches this Saturday – in summer. Erikson also briefly spoke, accusing authorities of removing social media posts and stifling the number of people the event reached online. 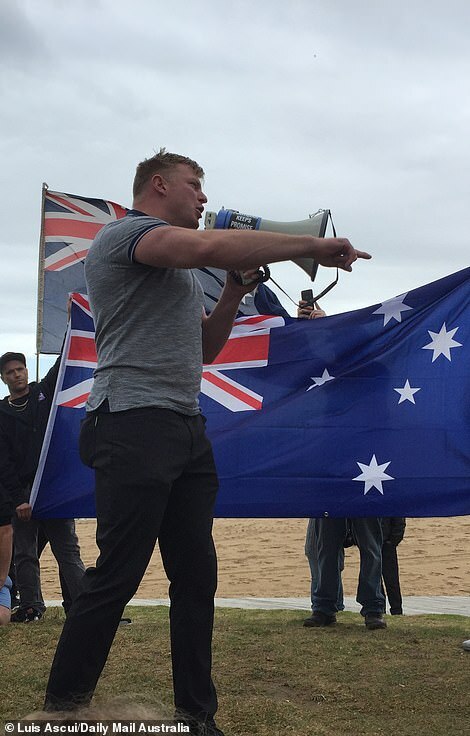 ‘Good to see regular Aussies here and no Nazis,’ he said, shortly before a follower marched from the beach while performing the Nazi salute. Former senator Derryn Hinch is the only politician who has come forward condemning Anning’s attendance at the rally, despite dozens of calls on social media platforms for Prime Minister Scott Morrison to do the same. ‘I have chastised Fraser Anning in the Senate for his racism, anti-abortion clinic exclusion zones and Hitler’s Final Solution. 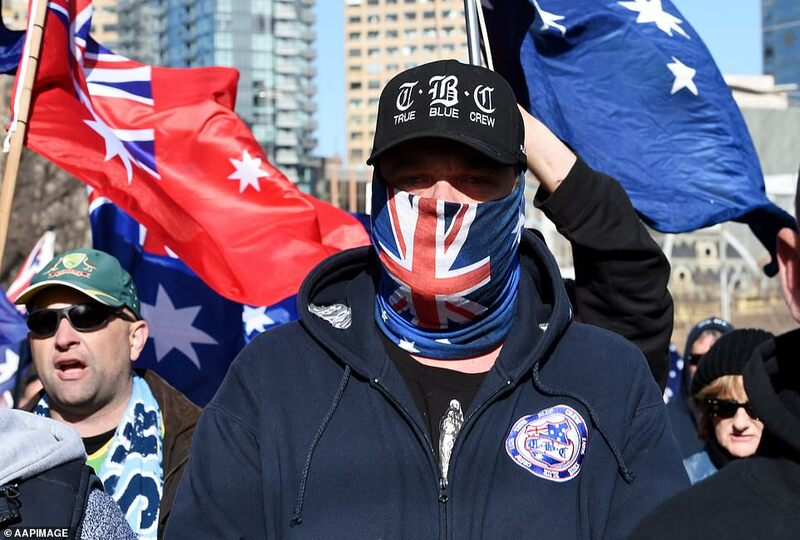 His appearance in support of the neo-Nazis in St. Kilda today topped his calumny,’ Mr Hinch said. 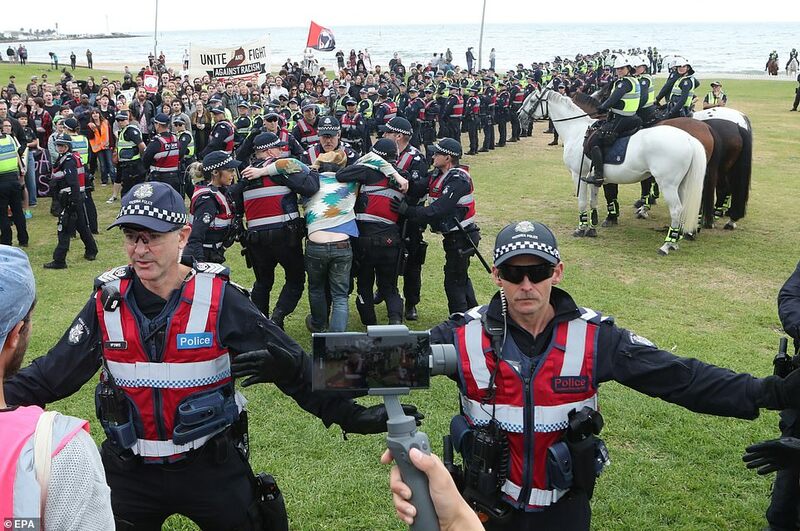 December 30th: Neil Erikson creates a public Facebook event titled ‘Political Meeting at St Kilda Beach’ for the 5th of January. The event is advertised as a ‘peaceful protest’. 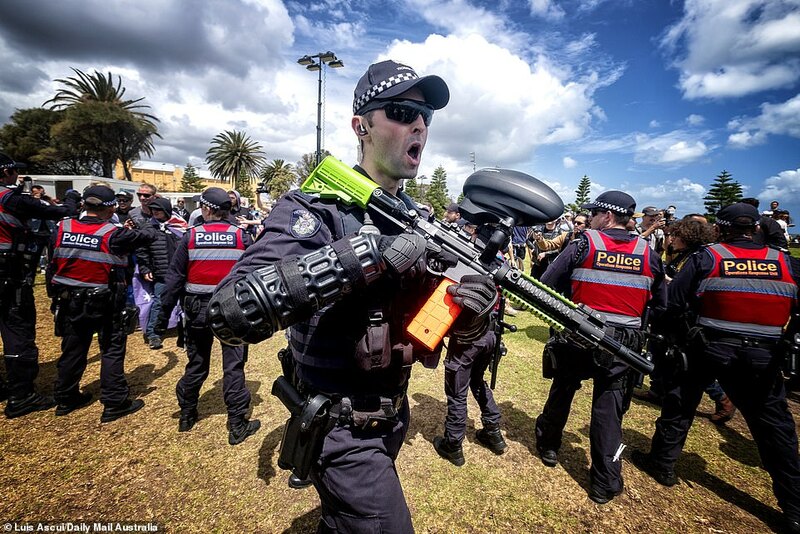 The meeting is allegedly in response to the numerous African gang related attacks in Melbourne, including one on St Kilda beach in early December. 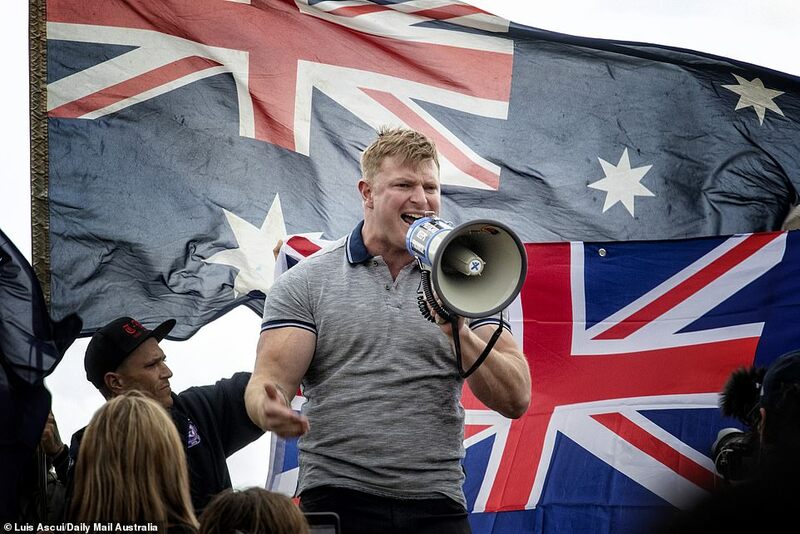 January 2nd: Far-right extremist and convicted criminal Blair Cottrell vows to attend the rally in support of the meeting. Numerous members of the African community speak out against the rally. 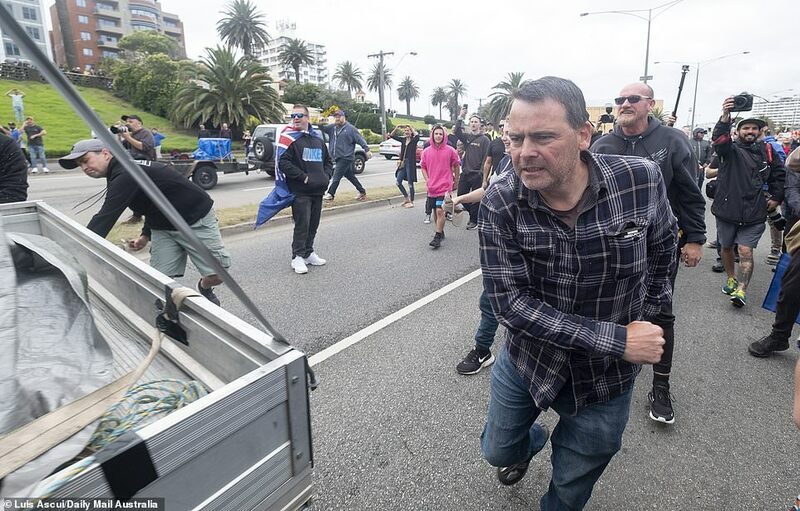 They say the group are inciting hatred and fear, and that the event jeopardises the safety of not just the African community, but St Kilda locals and beach-goers. 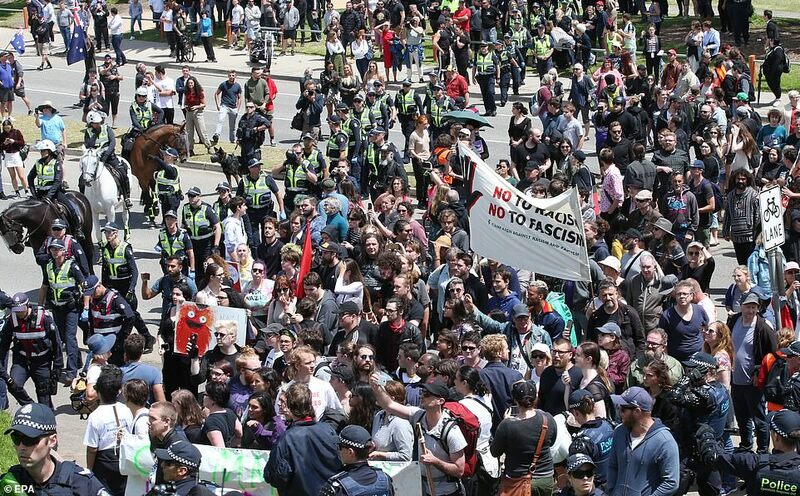 January 3rd: Campaign Against Racism and Fascism organises to also attend St Kilda beach on Saturday. 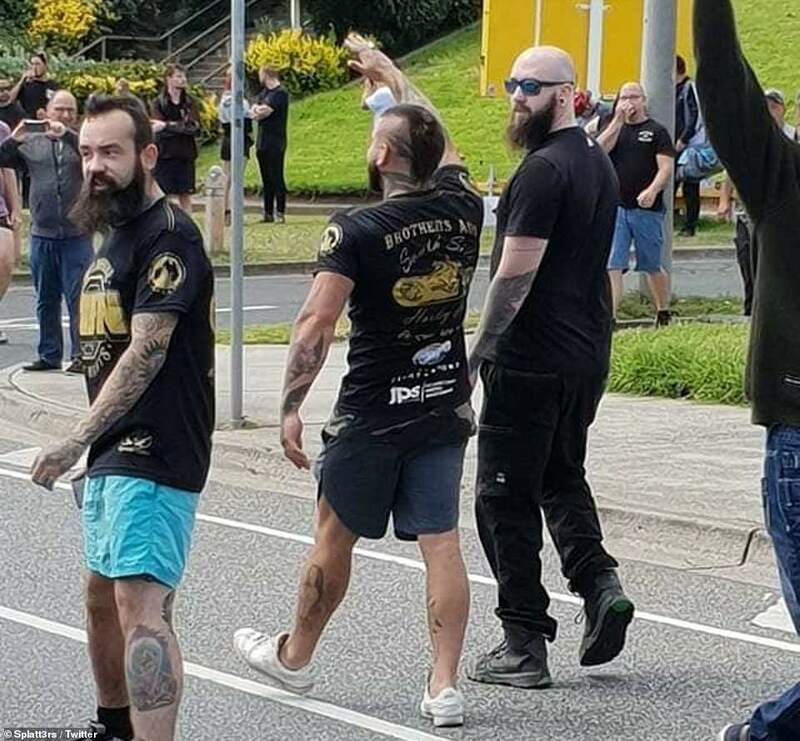 They intended to ‘drown out the racism’ and avoid another Cronulla riot by standing in solidarity with the African community. January 5th: Approximately 500 people attended in support of the ‘political meeting’, according to organiser Blair Cottrell. He deemed the protests a ‘huge success’ despite arrests and violence – something that Erikson and he claim they wanted to avoid. 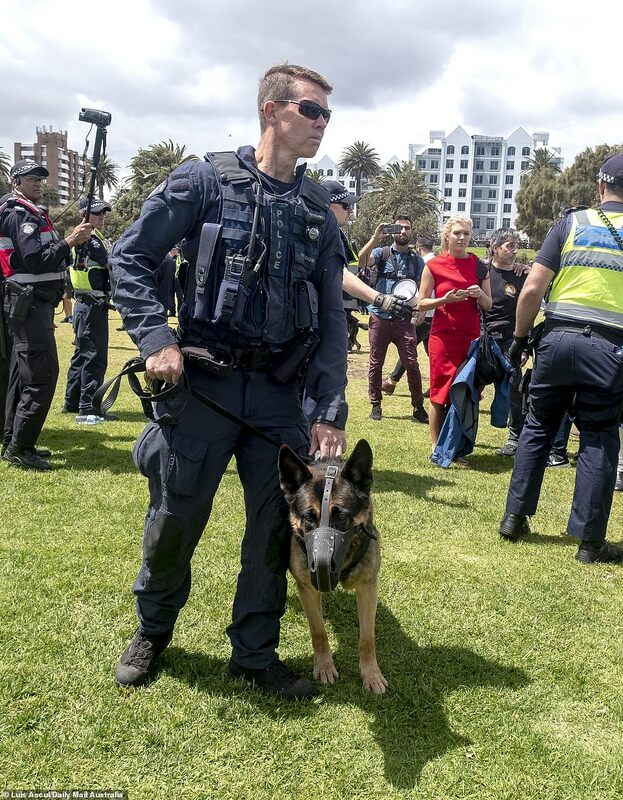 Hundreds of police also attended, including specialist police, the dog squad, the mounted squad, the transit teams and the public order response teams. Three arrests in total were made. An 18-year-old was arrested for allegedly carrying a weapon shortly after midday. Another right-wing protester clashed with police and other attendees before being led away by officers. A third arrest was made after a physical altercation between protesters from each side. Cottrell threatens to rally again ‘outside the Premier’s office’ if he does not agree to address what he describes as a ‘violent crime epidemic’.